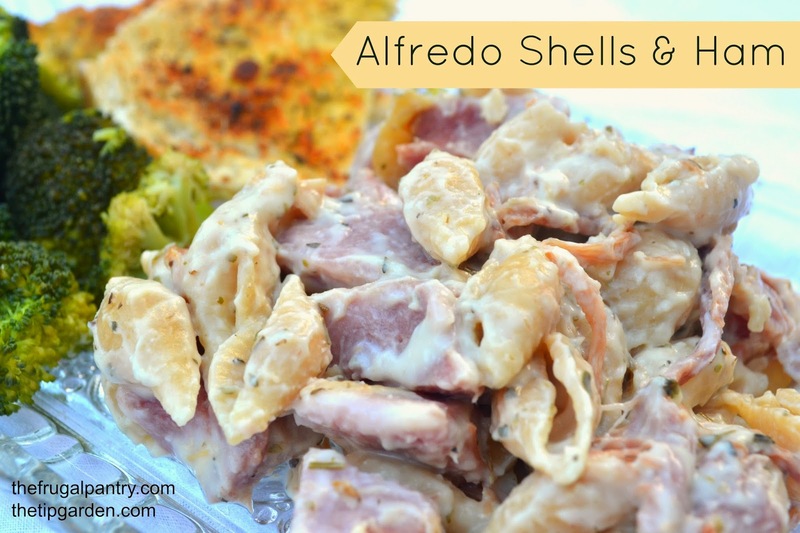 Alfredo Shells & Ham is a quick, easy dinner that uses left over ham but is so good, no one will believe they are eating "leftovers"! 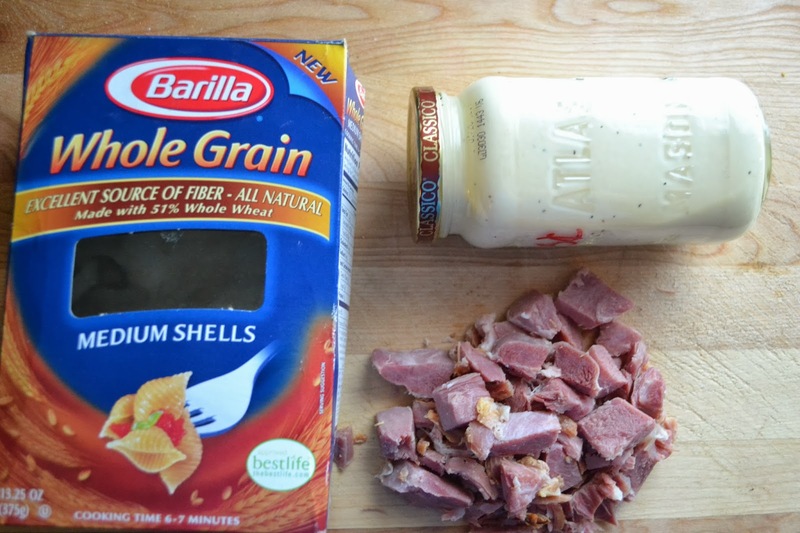 It's a perfect use for that leftover holiday ham! The first time my husband tried this dinner, he asked for it to be on regular rotation on the menu planner. We both loved the taste, but I also loved the 15 minute dinner idea! This recipe comes courtesy of my daughter in law. She shared this family recipe with me and we quickly fell in love with it. In medium sauce pan, cook pasta according to package directions. Drain pasta and return to to sauce pan. Add in Alfredo Sauce and diced ham, Parmesan Cheese and Garlic, stir to mix well. Heat over medium low heat till warm and bubbly.